A great item for today's face paced world. 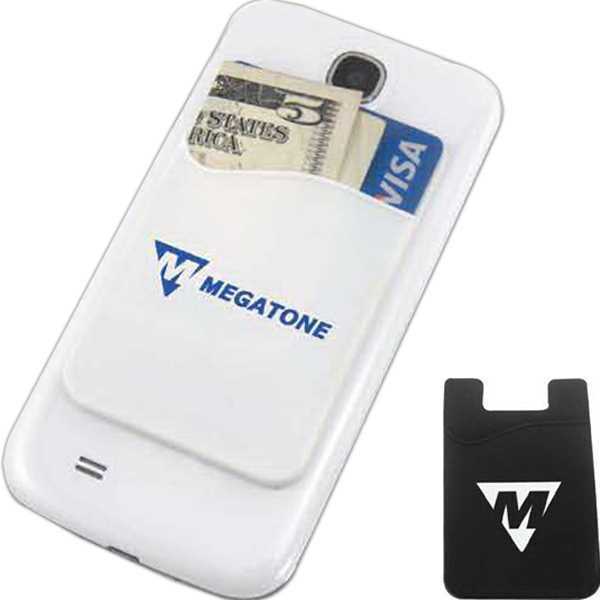 Silicone smartphone wallet with 3M adhesive sticks to the back of your smartphone.this silicone wallet holds credit cards, business cards or drivers license. Holds up to 3 cards securely. Credit cards are protected from deactivation with our silicone wallet. Size: 2 1/8 " x 3 3/8 "
Price Includes: One color imprint only.